Springfield, MO. (April 28, 2016) - Springfield Art Museum Director Nick Nelson has described the commercial burglary of seven iconic Andy Warhol Campbell’s Soup Can screenprints as feeling like “the loss of a family member.” Colorado artist Lindsey Wohlman is no stranger to that feeling. She lost her mother, sculptor Robin Starkey, to cancer at the age of twelve. Her mother’s passion for drawing and sculpting led Wohlman to become an artist herself. Wohlman notes that she felt the need to reach out because the Museum’s “bare walls…call out (to me).” The Springfield Art Museum stands resolute in our conviction that we will tolerate no bare walls in our community. 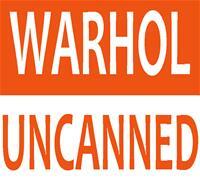 See “Warhol Uncanned” at the Springfield Art Museum from May 4 through August 28, 2016. Donations of non-perishable food items will be gratefully accepted in the Museum’s lobby, and through Ozarks Food Harvest, will be distributed to over 200 hunger-relief organizations across 28 Ozarks counties.